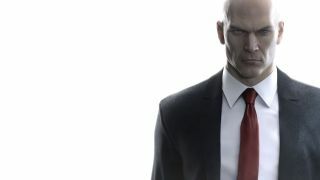 After about an hour spent staking out Hitman's first Elusive Target in the wee hours of Sunday morning, I lost my patience, drew my handgun, and got shot to death. But I'm glad to know that the majority of you fared much better than me, according to a new infographic shared by IO Interactive and Square Enix. I'm extra impressed that almost 10 percent earned Silent Assassin status on the mission, which means you killed only Sergei Larin, hid his body, and didn't get spotted by anyone in the entire attempt. Though I am encouraged that it at least took 34 minutes for the first Silent Assassin run to be completed - one of the cool things about these one-and-done events is that there's little room for practice and perfectionism, it's entirely dependent on your skill and fortune at that moment. Additional Elusive Targets will roll into the game on a more regular basis from now on, according to IO Interactive, and you should expect "a more even balance" between them and the Escalation Contracts. Speaking of which, you'll find a new Escalation Contract titled "The Scorpio Directive" has been added to the game: two new targets in Sapienza await your increasingly methodical killings. Also there's fruitcake.